"It's Time To Buy Some New Cards"
Blizzard has announced a new expansion for their popular card game Hearthstone. The new expansion is called The Grand Tournament and it is coming out next month. 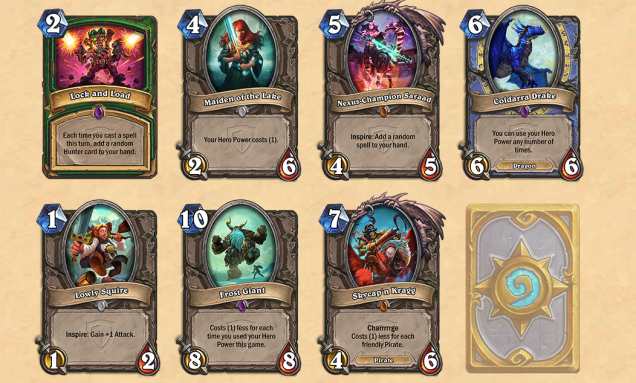 This new expansion will contain a new board, over 100 new cards and some of these cards will have a new ability called "Inspire". Minion cards with the Inspire keyword possess a special ability that may only be activated by using your Hero Power. You can see some of the new cards below. The Grand Tournament will be released in August and like previous expansions you will be able to buy it with money or in game gold. Hearthstone is available now for free on PC, iOS and Android.